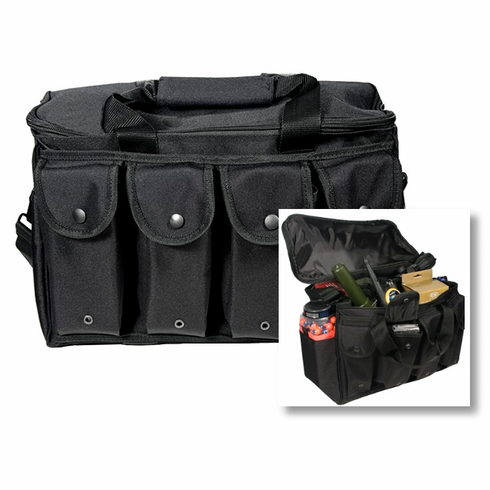 Perfect for storing your magazines, ammo, and other range or field essentials. Features 8 mag pockets 2 outside slot pockets and one large inner compartment. Other features include both a shoulder strap and top carry handles. SEE THE OTHER TACTICAL GEAR ITEMS.